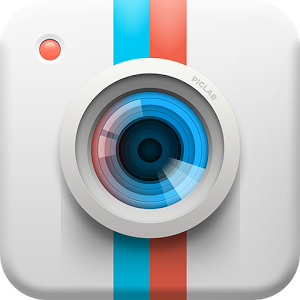 - Apply one of our 9 gorgeous photo filters - with many more stunning filters on the way. - Choose from a collection of over 100 (and growing) shapes, borders, overlays, textures, and more to add that extra flair to your photos. 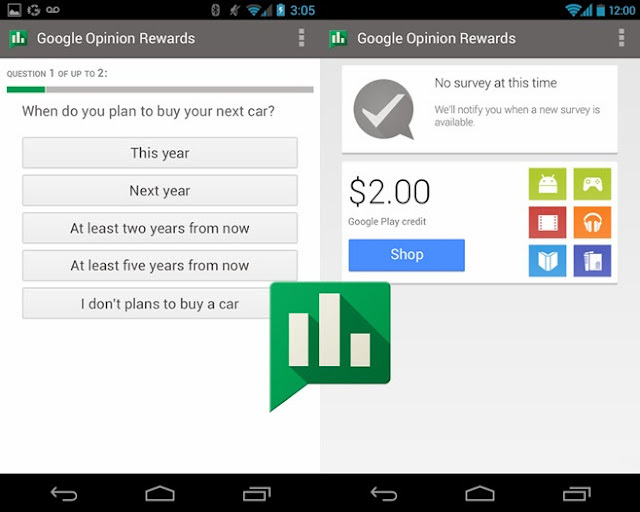 How your thoughts are valuable to Google, Google just launched its new app called 'Google Opinion Rewards'. Google is willing to pay you for compeleting survey forms through their app. This would be an interesting app for you, from which you'll get Google Play credit. You can spend earned credits by purchasing any paid app, game, movie, book, and video. Unfortunatly, the app is available in U.S country only. The Surveys are expected on weekly basis and some of them will be free. Under the surveys, maximum of 10 questions to be answered and it takes you one or two minutes in completing the form. As always, there are yes/no and multiple choice questions in the opinion which you can solve easily. If you're interested in making some money to purchase apps from Google Play Store, just download Google Opinion Rewards app now. For more details below video will help you out. Japan based Sony has announced that they will roll out new playstation app for iOS and Android based devices this year on November 13 in North America and November 22 in Europe. Sony's aim to target this particular application mostly on high-end mobile devices and tablets, US will be the first to enjoy it. 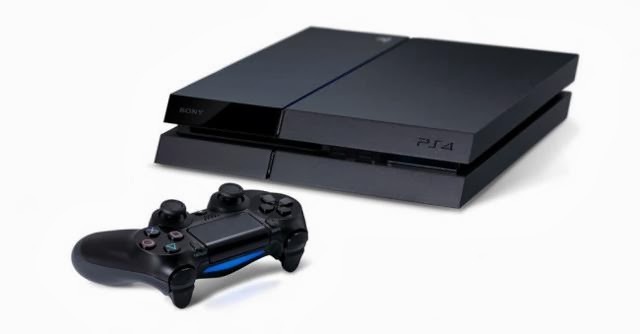 You'll love to hear this nice Playstation application will available at no cost. iPhone, iPad, iPod, Android smartphone and tablets are compatible with Playstation App and you can download it from App Store and Google Play. For more news or details go to the official Sony Playstation site. Over a week ago Microsoft announced its Remote Desktop App for Android and iOS has been released now for both platform. Microsoft also launched app for Windows, Windows RT and Apple OS X. According to rumors, the Remote Desktop iOS app supports both iOS versions, iOS 6 and iOS 7. 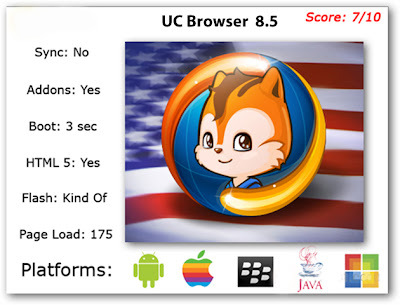 To install app on Android, users must have Android 2.3 Gingerbread OS to be compatible with their devices. 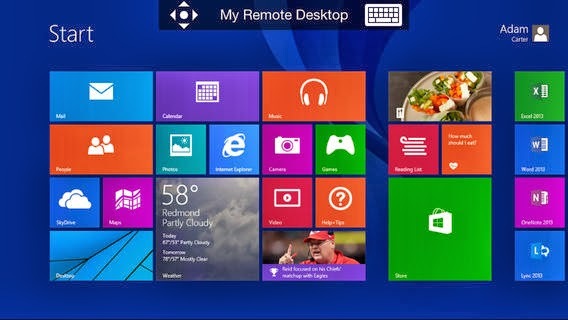 With the Microsoft Remote Desktop app users can control their Windows PC using their smartphone or tablet. or say this app uses screen mirror of running Windows on your Smartphone or tablet. The Microsoft Remote Desktop app offers many features, such as HQ ( High Quality ) video, sound streaming, improved compression and bandwidth usage, it uses secure connections to all data and apps on a through Network Layer Authentication technology. Remote Desktop app are now free available in Google Play Store and itunes App Store for Android and iOS platform. BlackBerry has made it official about their plan to make BBM available for the first time to iOS and Android users this summer, (subject to approval by Google Play and the Apple App Store, as applicable). This means that, once available, you can welcome your friends and family using these other mobile platforms to connect over BBM and share in the Team BlackBerry love. CEO Thorsten Heins claims the time is just right “to bring BBM to a greater audience,” but investors are probably feeling a little uneasy as evidenced by a 6% drop in BlackBerry’s share price, the biggest decline in a month after the renewed optimism brought by BB10. The messaging service currently has more than 60 million users, who send and receive some 10 billion messages every day. Opening up to other platforms will certainly help that figure grow, but that’s still some ways off from overtaking current mobile messaging leader WhatsApp, which claims 200 million active users. The immediacy of BBM chats. BlackBerry Groups, where BBM users are able to set up groups of up to 30 people and share calendar, photos, files and more. 14:50 Manender Bana Android, Android Apps, Free Android Applications, Swiftkey Keyboard latest version. Top Developer, SwiftKey has recently updated its app with a notable addition called the SwiftKey Flow, which will enable the user to write by gliding their finger on the keyboard. This feature can be mixed with the tap input which in turn deals with switching the mid-word. When you see the word you want just lift your finger off and the word will be inserted. SwiftKey replaces the touchscreen keyboard on your phone with one that understands how words work together, giving the world’s most accurate autocorrect - and predicting your next word before you press a key. The keyboard learns as you use it to make corrections and predictions based on the way that you write. It can even learn from your Gmail, Facebook, Twitter or blog to make its insights even more personalized. You can also enable up to three languages simultaneously, for true multi-lingual typing. English (US), English (UK), English (AU), Afrikaans, Albanian, Arabic, Armenian, Azerbaijani, Basque, Bosnian, Bulgarian, Catalan, Croatian, Czech, Danish, Dutch, Estonian, Finnish, French (CA), French (FR), Galician, Georgian, German, Greek, Hebrew, Hindi, Hinglish, Hungarian, Icelandic, Indonesian, Irish, Italian, Javanese, Kazakh, Korean, Latvian, Lithuanian, Macedonian, Malay, Norwegian, Persian (Farsi), Polish, Portuguese (BR), Portuguese (PT), Romanian, Russian, Serbian, Slovak, Slovenian, Spanish (ES), Spanish (US), Spanish (LA), Sundanese, Swedish, Tagalog, Thai, Turkish, Ukrainian, Urdu, Vietnamese. 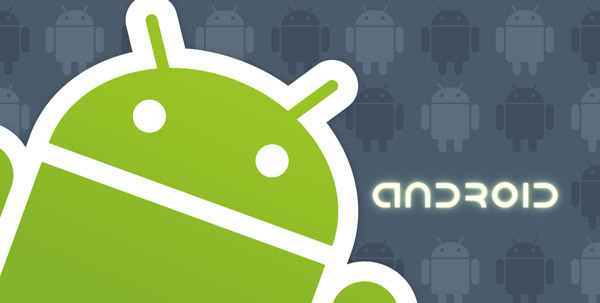 With Android’s popularity growth, its applications are also not too far behind. Android’s market features millions of applications and games, and this is not the final number. With the increase of social networking websites, there is definitely an increase in the social apps that you can use on your Android mobile phone. People are just so addicted to their online social life, that it would be a drag not to have it on the phone as well. So Android has the answer for this, by providing tons of social apps that you can download for free of for little money. Follow your interests: instant updates from your friends, industry experts, favorite celebrities, and what’s happening around the world. Get short bursts of timely information on the official Twitter app for your Android phone. Features: Browse interests, Find & follow friends, Tweet, Retweet, Favorite, Direct Message privately with your followers, share photos, videos and web pages, real-time search, view maps, trends, and follow. Tumblr for Android. The easiest way to blog. Post anything: Share photos, video, quotes, chats, links, and text. Bonus 'create a post' widget for your home screen. This application allows you to save bookmarks to Delicious from the Android web browser. The current implementation simply adds the option to ‘Save to delicious’ when ‘Bookmark page’ or ‘Share page’ is selected from the browser menu. You can also view your bookmarks in the browser by clicking on the ‘Delicious Bookmarks’ icon in the application list. GO launcher EX has launched its updated version of Go Power Master V3.0. 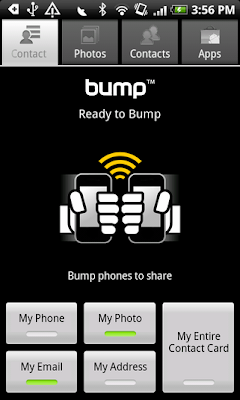 Here you can download its updated version free and directly to your android device. Functional module management: GO Power Master will decrease the power loss by managing the network, the radio, the brightness and other power consumed modules of your mobile phone. Running applications monitoring: GO Power Master will help you to find out the most power consumed applications by precisely monitoring and analyzing the power consuming of every running application. Smart power saving: GO Power Master will smartly switch to the saving mode when the power is low or the time you set is reached. Time statistics: GO Power Master will precisely calculate the time statistics for endurance, calls, video, audio, network and standby of your battery. One-Touch Optimization helps you to lighten the load of your battery easily. Modes help you to use the battery selectively and wisely. The GO Power Master widgets provide you the way to handle the power quickly without opening the application. Developer Foursquare has update its famous application for android and symbian operating system known as Foursquare v2012.10.29. Join the over 25 million people who are already on Foursquare. Download the free app below! Share and record the places you visit. Get personalized recommendations and deals based on where you, your friends and people with your tastes have been. Search for anything (from 'free wi-fi' to ‘dumplings’) or browse popular categories. Discover insider tips and lists from local experts, brands, and celebrities. 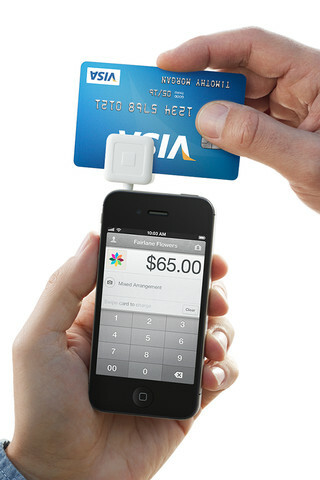 Square Inc. has just launched its updated version of Square Register i.e. V2.4.1. Here is the free download link of this business App. Accept credit cards and run your business anywhere with Square Register on your Android. Square’s free card reader, simple pricing, and smart business tools make it easy for you to do what you love and get paid. Pay just 2.75% per swipe for Visa, American Express, MasterCard and Discover. No monthly fees or merchant contracts. Funds from swiped payments are deposited into your bank account in 1-2 business days. Download the Square Register app. Sign up to receive your free credit card reader. Link your bank account and accept your first payment. Get Free WhatsApp Messenger which is a smartphone messenger available for Android, BlackBerry, iPhone and Nokia phones. WhatsApp uses your 3G or WiFi (when available) to message with friends and family. Switch from SMS to WhatsApp to send and receive free messages, pictures, audio notes, and video messages. 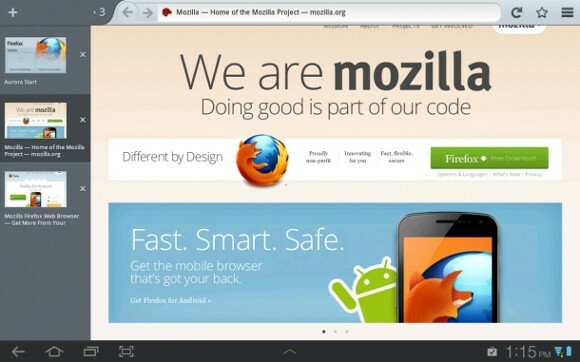 Direct Download the official Firefox 15.0 Web browser for Android. The Mozilla Firefox Web browser brings the best of desktop browsing to Android. It’s fast, easy to use and customizable, with the latest security and privacy features to help you stay safe online. NexGTv Application for Android users is used to watch live online Indian Tv. Just Install app in your mobile and open app start viewing your favorate Tv Channels. NexGTv Mobile TV is one of the best application which offers a compelling end-user experience to view Live TV on mobile devices. It is the easiest to access to over 100 Live Indian TV channels, Replay and On-Demand content. That’s not all, now you don’t have to depend on 3G network to view video content. Our innovative feature of Adaptive-bit-rate streaming enables you to enjoy Live TV even on a 2G network. Integrated Electronic Program Guide (EPG) of one week for all channels. Direct Download link:- Click Here. UPDATE : UC Browser 8.8 or Download UC Browser 9.0 for Java And Symbian based Mobile Phones. 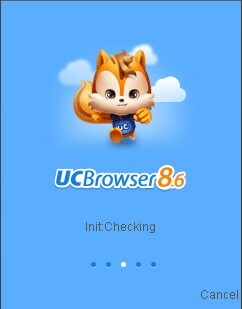 UC Browser, simple mobile, better browser! The choice of 300 million users! Increasing your browsing speed after you've run out your high speed traffic through cloud acceleration! 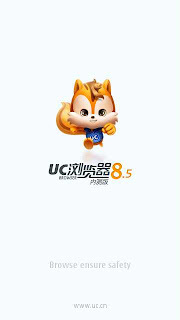 UC Browser For Symbian and Android OS i.e iOS and is the one of the best mobile browser in the world in any mobile platforms. 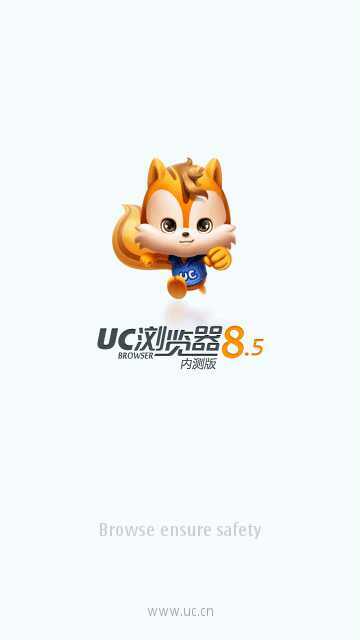 It is a Symbian and Android Chinese version translated to English by uc forum members. Doubled enhance the performance of HTML5, JS, CSS, Flash, etc., together to create a great browsing experience! HTML5 run on Android 4.0 at sub-soared of 410 + 7 points, better even more dazzling visual and auditory feast, to experience, unlimited passion. CSS rendering & the JS processing capabilities greatly enhance the page to show a better, faster interaction. 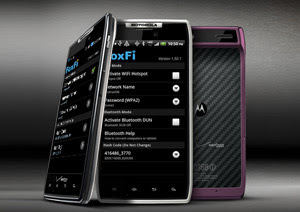 Flash fully support the 4.0 firmware flash, watch videos, play games more smoothly. One of the more popular multimedia players available today has to be the free open source player VLC which is available through VideoLan. Those that have had a chance to use VLC on a desktop PC will probably know what a simple piece of software this is, one that seems to be compatible with a variety of different media formats without the need of codec downloads.